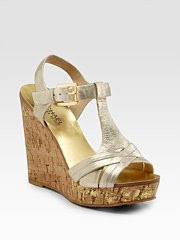 This Michael Kors metallic wedge would go with everything from short shorts to jeans and dresses. At $135, the price is very do-able! These Vera Wang wedges show a little less skin than a sandal- perfect for the springtime and in a color that will look fresh with anything. 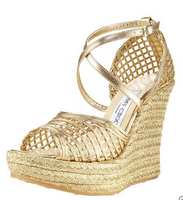 The Jimmy Choo woven wedge is a fresh twist on the classic Christian Louboutin platform.